Underworld Resident Canines is a free shooting game for Windows 8 and 8.1 devices. This game is another brilliant piece of work from Rational Games. You are in a dangerous underground cave, and this place is full of deadly dogs. These are not just simple dogs; the world has been infected by a deadly virus, and these stray canines are infected as well. 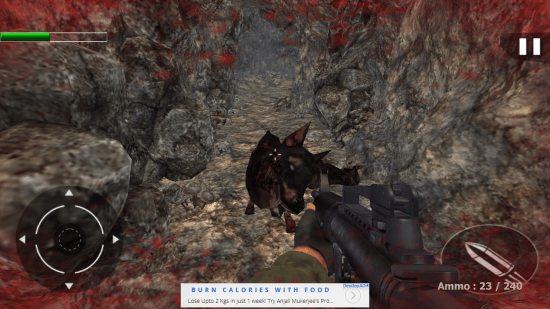 These zombie dogs run to kill and eat every thing that is alive. 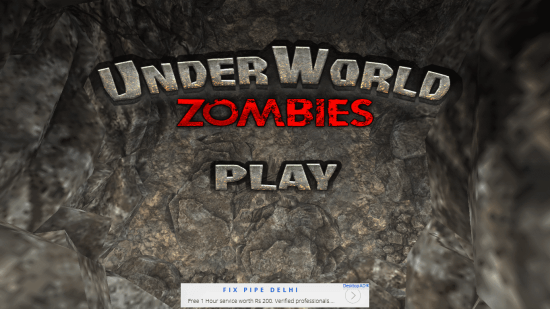 So, play this zombie game to make your way out of the underground cave, ALIVE! This shooting game for Windows 8 can be found on Windows App Store. Type the name of this game in the search box to find it. 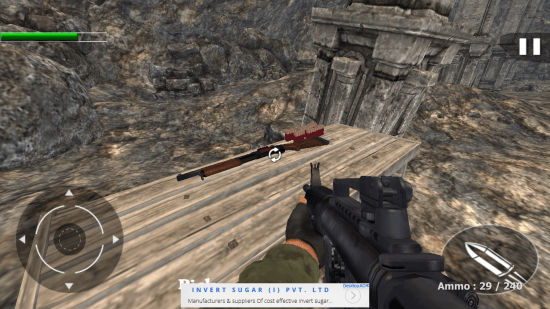 You may also follow the Download Link at the end of this article to download this FPS game for Windows 8. Exceptional graphics have been used in this game, however the game only occupies 76.4 MB of space on your computer. The game begins with a zombie dog attacking you, and you with a knife in your hand. Stab the dog repeatedly to kill it. As soon as the game begins, you will view the amazing high definition 3D graphics used for this shooting game for Windows 8. The gameplay is pretty simple, and is almost the same as any other First Person Shooter game. Use the WASD keys to move, left click the mouse to shoot, and scroll or use “F” to swap weapons. Press “E” to pickup the weapon, and “R” to reload. If you are playing this shooting game for Windows 8 on a tablet, use the navigation panel on the bottom left corner to aim. Use the bullet panel on the bottom right corner to fire. The shooting game for Windows 8 begins with just a Knife with you. 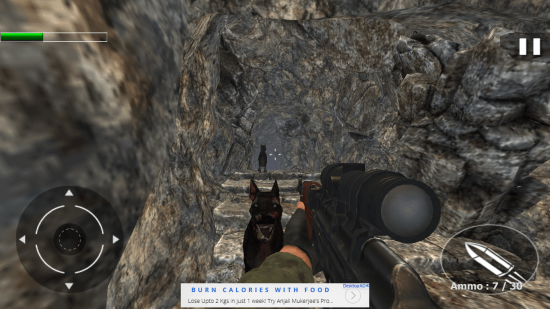 After you kill the first dog, you will arrive at a table with weapons and ammunition on it. Choose your favorite weapon and ammo from the table and begin the dangerous journey through the caves. A journey where everything runs to kill you, and you have to fight your way out of it. As you move by the dungeons, zombie dogs will run to attack you suddenly. Kill them before they reach you, or you lose health. The green bar on the top left corner displays the heath status. On the right bottom corner you can view the Ammo status. Keep an eye on it to reload your gun before you get attacked. Use different guns to kill the infected dogs. If you lost too much blood and the health bar empties, the game gets over. Restart the game to play again, and try to make your way out of the deadly caves. This shooting game for Windows 8 is one of the best FPS game available on Windows App Store. With high definition graphics, and surreal sound effects, this game is a must download. Download this game and experience the thrill for yourself. 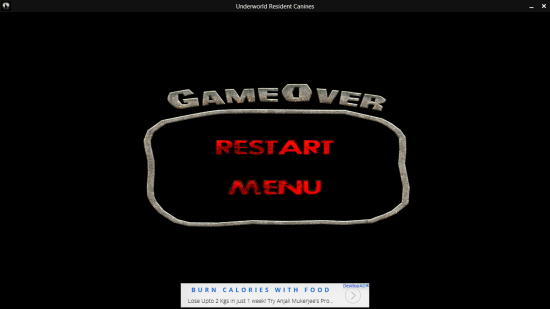 Download Underworld Resident Canines for Windows 8 and 8.1.